Made from laminated 9 mm birch plywood with aluminium extrusions on all edges. 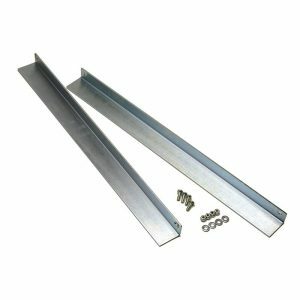 Hardware includes steel corners, recessed butterfly catches and steel flip handles. Case is padded with high density foam in corners, lid top and base to protect your speaker cabinet in transit. 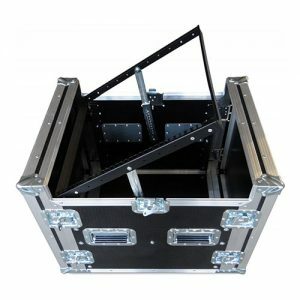 All of our amp flight cases are made to order so if your amp isn’t listed we can still make a case for it. Please contact us with the dimensions of your guitar cab and we’ll give you a quote. Heavy duty guitar amp flight case manufactured to fit. These cases are manufactured in the UK to high standards with 9mm birch phenol coated plywood, steel fittings and internal foam padding making them ready for the rough and tumble of gigging and touring. The shallow base design allows you to use your amp/cab whilst sat in the base of the case with the lid lifted off.